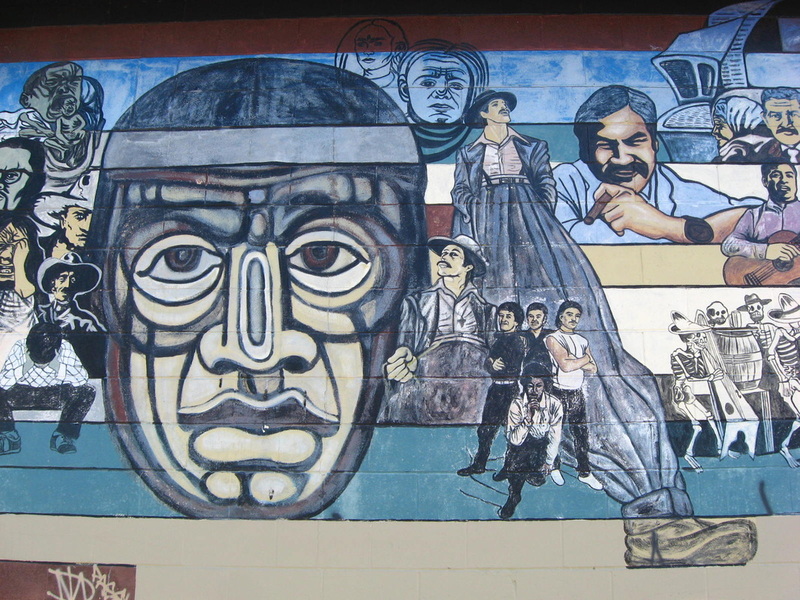 The term Chicano has had varying meanings throughout its historical use. Originally it meant “of Mexican-American” descent, and applied to people born in the United States, but who had roots to Mexican ancestry. The term itself has varied in use as a term of derision and as a positive self-identity. There is debate as to where the term exactly comes from, though there is some consensus that it may derive from the word “Mexican”, which derives from the word “Mexica” of the Nahualt speaking “Aztecs”. 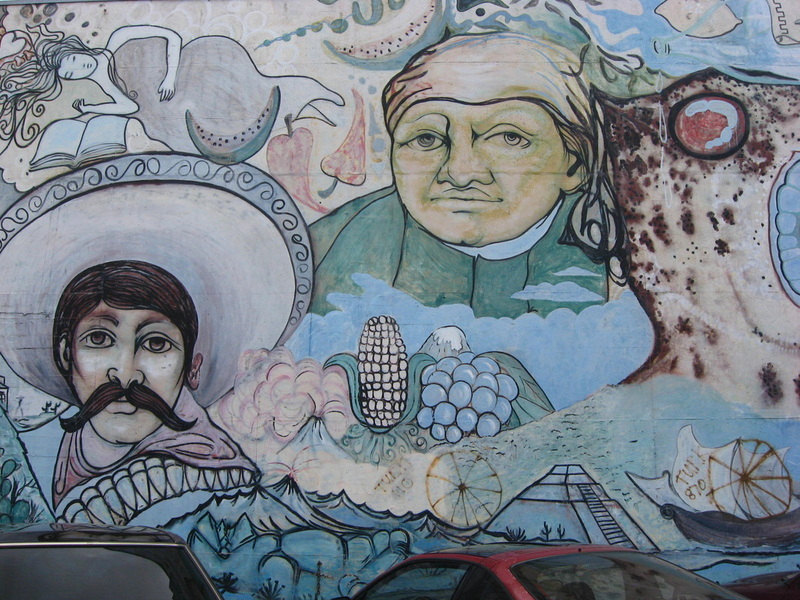 Currently, the word Chicano (and its feminine counterpart Chicana), has taken on a more cultural and political identity that affirms the “mixture” of being a mestizo with both Spanish and Indigenous roots. For many, it is a strong affirmation of identity that can be more rebellious than other terms such as Latino and Hispanic. 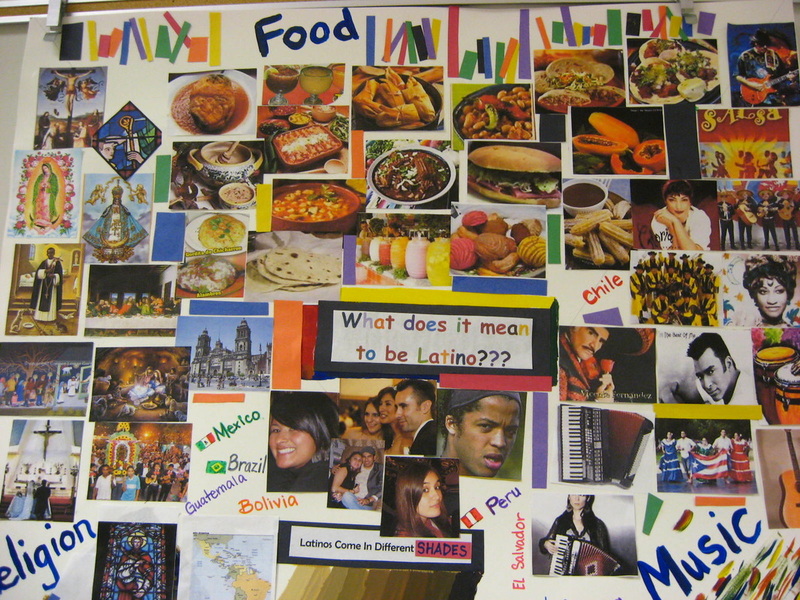 The term Latino has more cultural connotations to it, based on the language identities and connections to Latin, and thus “Latin America” which was “discovered” and colonized by the Spanish, French, and Portuguese. Hispanic has been more widely accepted as a “safe” political term to identify Spanish-speaking people in the United States. The term refers to the language roots from Hispania/Hispaniola, essentially the Iberian Peninsula that contains Portugal and Spain. Thus, in many ways, which term one uses can depend on what “roots” one recognizes and values--Latino and Hispanic have often been criticized as ignoring the indigenous cultures that are part of being from the “Spanish New World”. 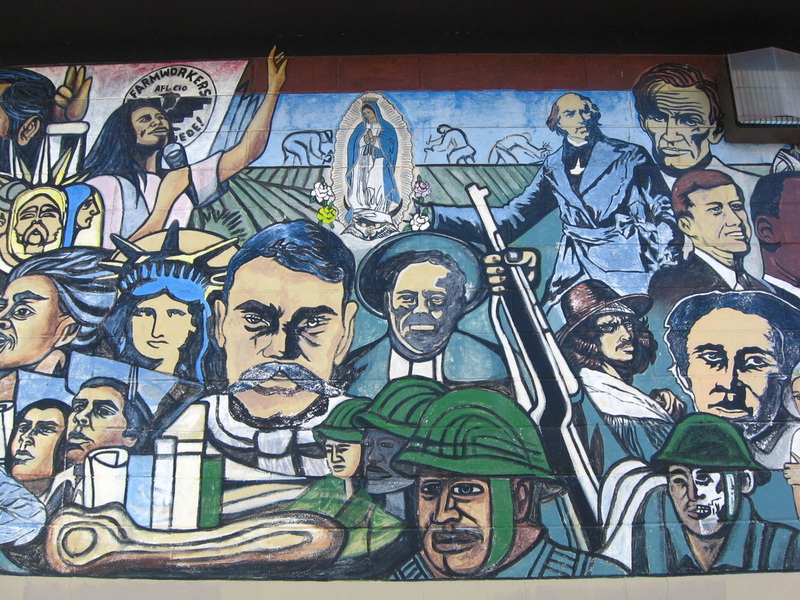 Chicano itself has been criticized for being too “radical” and politically polarizing. 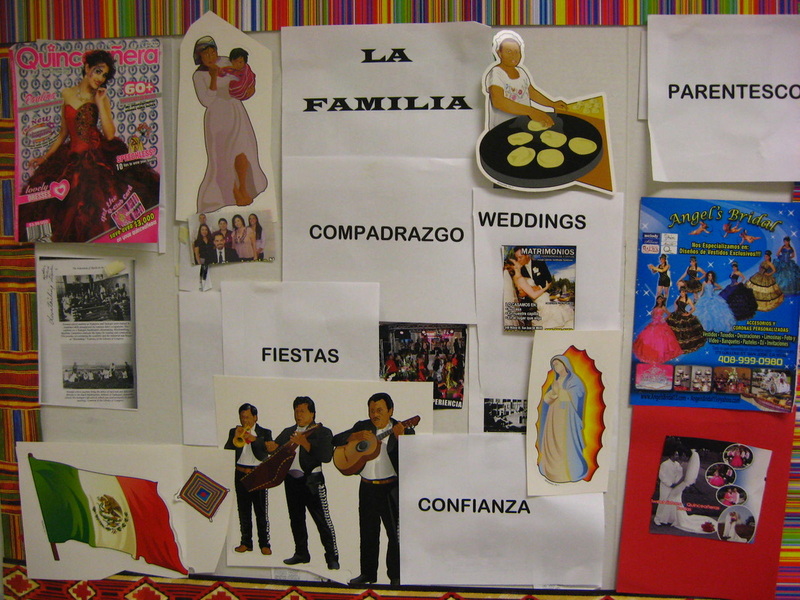 The terms Chicano, Latino, and Hispanic will be used somewhat interchangeably on this site, as it will apply to a general population of color that has operated within the context of being a “race”-- understanding that the word is a social construct rather than a true biologically distinct people. It is also worthy to note that the concept of race within the Chicano demographic is different than within the United States framework of perception, which at points has considered one drop of blood to qualify someone as African American. In Latin America, the concept of race can be more complicated and fluid, operating on a spectrum and not so clear-cut, with economics playing a larger role in defining “race” and social status. For example, in the US whether one is poor or wealthy, someone can still be “white”, but in many places in Latin American, to be poor can “change” a person’s race and to be poor is to be associated with being “Indian”. 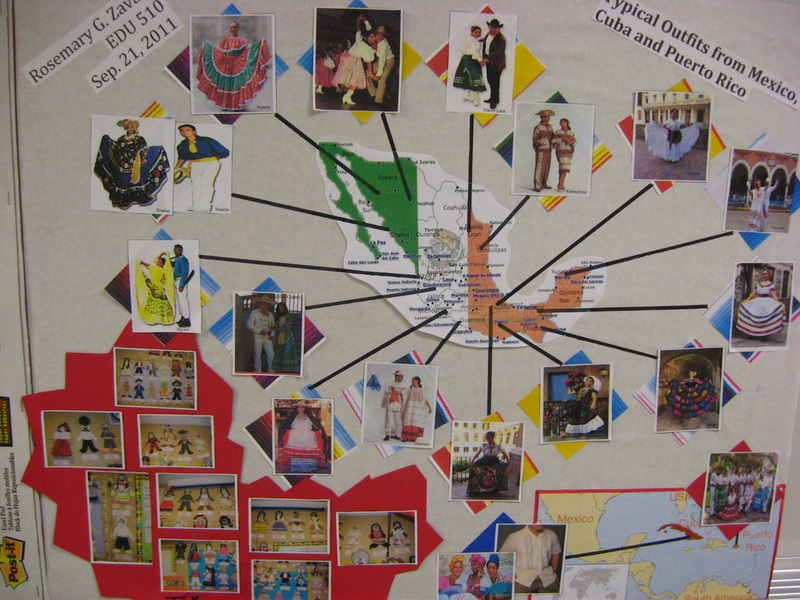 Finally, the issue of nationality or regionalism can be at play, as many will refer to themselves as being Mexican, Californio, or Tejano before using any of the other ethnic labels and identities. Mexican is a nationality. Strictly speaking, you are Mexican if you are born in Mexico or have Mexican citizenship. Nonetheless, there are always certain connotations along with the denotations. Green Chicanismo: This will continue to be an evolving definition. I intend this to be embody identities that are not mutually exclusive: being an environmentalist and a Chicano. To me that means pursuing an environmental ethic that benefits the communidad; to be environmentally conscious of the issues affecting the barrios and gente and work towards a betterment of a healthier human and natural environment. This can be termed "Environmental Justice" in the field, but I feel Green Chicanismo adds a flair that motivates me that much more. Culturaleza: This is a term of my own devising, a blending, a mestizaje of the "cultura" and "naturaleza", culture and nature. It is meant to capture an aspect of Green Chicanismo in that you can use a power tool, art, to convey the messages and issues relating to Xicanismo and environmental issues.